The baby drank half the offered bottle, then started whining again. “All right, Missy.” Grandma lifted Alice to her shoulder and patted her back until she burped. “Let’s take a little walk. Let me grab my drink – light beer, but it’ll do. You know what the most popular beer in Honduras is called, Alice? Salva Vida. ‘Life saver.’ It has a picture of a life preserver on the label, like the ones you see on boats. They throw them out in the water to save drowning people. Life preservers, not beers. “Where was I? Oh, yes,” she said, taking a sip. “Beer. Beer got me in trouble once. Well, beer and that terrible car that broke down in almost every state between New York and Utah. Diane, a friend from college, and I drove out west in my VW. Actually I drove, because she couldn’t handle a stick shift and she was afraid the car would fall apart while she was driving. With reason. We made it from Brooklyn to eastern Pennsylvania before we had a flat tire. And it only got worse from there. Something odd happened with the starter in Iowa. Apparently, it lost its joie de vivre. That meant most mornings, we had to push the car, then pop the clutch to get the engine to start. Usually other campers were great about helping, especially if we had given them dinner the night before. “The morning we left the campground in Rocky Mountain National Park, it was still cold out, probably 30 degrees, chilly for July, but by the time we reached Arches, in Canyon Country, it was 103 degrees. That’s really hot, Alice. So after we found a campsite, I changed into a bathing suit, which I thought went well with my hiking boots, sat on the ground, and spaced out. Diane brought me a beer. A park ranger stopped by and invited us to the fireside talk he was giving that night. Diane agreed. Later, she said it was probably my stylish outfit that attracted him. Then two guys we’d met at a different campground stopped by. You have to understand, Sweet Alice, there weren’t all that many people on those roads. I had a green VW. They had a black Chevy. There was also a motorcycle guy we passed, or he passed us, at least a dozen times on the way to the park. They got to be like old friends when we’d run into them at a water pump or a gas station. Anyway, Diane asked the guys to come to the fireside talk too. She settled the baby, gave her a kiss goodnight, then turned off the overhead light and switched on the nightlight. After her grandmother left, Alice opened her eyes and watched the dim shapes of the fish mobile swimming through the air over her head. Author’s Comment: For a long time, we’ve been told that babies like the sound of a calm, familiar voice. The content is irrelevant. But as a new grandmother, I wonder how much babies actually understand. More than we think, I suspect, though probably not at much as the baby in the story! The first part was easy – just a typical night taking care of the grand-baby. I added the last part as a comic switch of point of view. 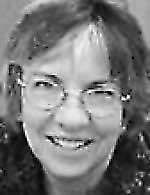 Kathleen Flanagan Rollins taught composition and literature at Mott Community College in Flint, Michigan. After retiring, she started work on the “Misfits and Heroes” series of prehistoric adventure novels about early explorers in the Americas. She also writes the “Misfits and Heroes” blog at misfitsandheroes.wordpress.com. Her short stories have appeared in The Foliate Oak, Shark Reef, The Sunlight Press, and the Midnight Writers Anthology. View More: Next piece "Canopic Jars", Home, Archive. I laughed out loud too. I take care of my great-granddaughter on Mondays. She receives lots of random information, as did my children and grandchildren before her. I often see a quizzical look on her face and she comments, “daee!”. We laugh. Having sung my great granddaughter to sleep on Sunday, I connect with this. Such a special time. More important than anything else.